Astrological psychology combines the best of traditional astrological knowledge with modern growth psychology, providing a powerful tool for self-understanding and psychological and spiritual growth. Astrological psychology can be used used as a resource and guide on life’s journey. It encourages us to take full responsibility for ourselves and our actions. It is also successful at pinpointing where we are in life, and what psychological life stage we are travelling through. Astrological psychology is used by individuals working with their own charts or with the charts of friends and family, and by trained consultants working with clients. Astrological psychology is not about predicting the future. It won’t tell you what’s going to happen to you, nor will it tell you what to do or how to live your life. Astrological psychology is based on 50 years of research, consulting and teaching by Swiss astrologers/psychologists Bruno & Louise Huber, who initially developed this approach while working with Roberto Assagioli, the founder of psychosynthesis. It is also known as ‘The Huber Method’ or ‘Huber Astrology’. It was originally taught in the German language at the Hubers’ Astrological Psychology Institute (API) in Zurich, starting in 1968. Since then, tens of thousands of students have been taught Astrological Psychology, which is now well documented in a series of English-language books . The Hubers’ teachings became available in the English language with establishment of the English Huber School or API(UK) in 1983, with Bruno & Louise Huber’s co-operation. For over 35 years, the school has taught and trained students living in many countries around the world. Accredited courses and publications have given English speaking students the opportunity to study and use astrological psychology. Students learn the theory of the psychological motivations found in a birth chart in a way that encourages them to develop their own self-awareness. Many students have found that this enriches their lives and offers a fresh perspective on their interpersonal relationships. Recently the school ceased enrolling new students for accredited courses, and instead has published the courses for self-study, with tutoring offered alongside. Astrological consultants, counsellors, therapists and psychologists have found that the Huber method provides a quick and effective way of getting to the heart of a client’s problems. API(UK) eventually metamorphosed into the membership association Astrological Psychology Association (APA), for all interested in this modern combination of astrology and psychology. 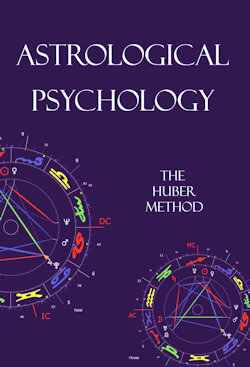 In 2003 the publisher HopeWell was established to ensure that knowledge of astrological psychology became or remained available in the English language. This website is a significant resource in helping people across the English-speaking world to get to know about, understand and develop astrological psychology, now it including information on all English-language books on astrological psychology, published by HopeWell. See the latest news on our Twitter feed to the right, and the latest blog contributions from our members below.